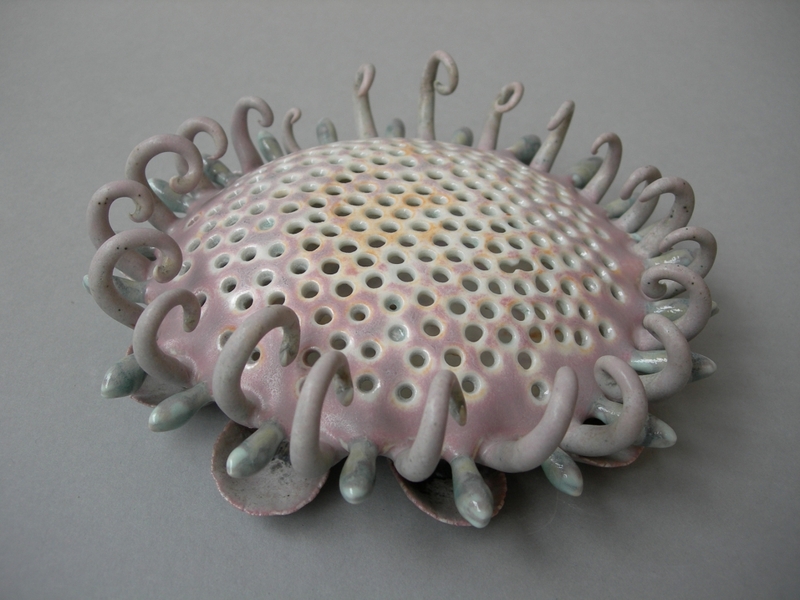 Chris Garofalo, Actinomma Sol, 2010, Glazed porcelain, 7 x 7 x 2.5 inches. 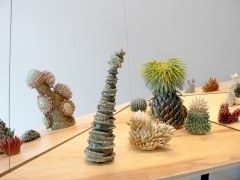 Rhona Hoffman Gallery is pleased to present aquibotanous zoolatry, the third solo exhibition by Chicago-based sculptor Chris Garofalo. 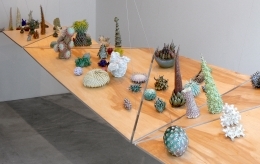 The title, aquibotanous zoolatry, is derived from a combination of words just as her work combines the objects those words describe: water-plant-like-animal-infatuation. 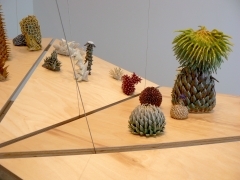 In this installation, porcelain sculptures are arranged in various constellations on a suspended wooden platform, which refers to a landscape of indeterminate location and scale. 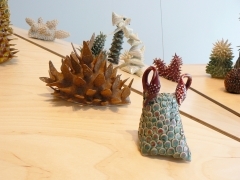 Her sculptures, which are exquisitely textured and glazed (often multiple times), suggest animal and plant forms that could potentially exist at an equally ambiguous scale in any kind of environment. 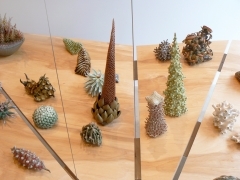 Garofalo is continually intrigued by our planet’s evolution and often draws on its unpredictable, non-repeating, and accidental nature to create her own ecology. 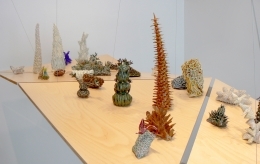 She is especially interested in the inherent similarities in nature's diversity such as the variety of reoccurring shapes found in forms from on land and under water and microscope alike.